Each year the sales of Girl Scout cookies provide funds for great learning adventures, and other opportunities for girls. In addition these Girl Scouts are learning a variety of valuable life skills while they are planning, setting up, selling and reporting their sales of these delightful morsels. It is exciting to listen to the girls tell us their goals and the things they enjoy in Girl Scouts. 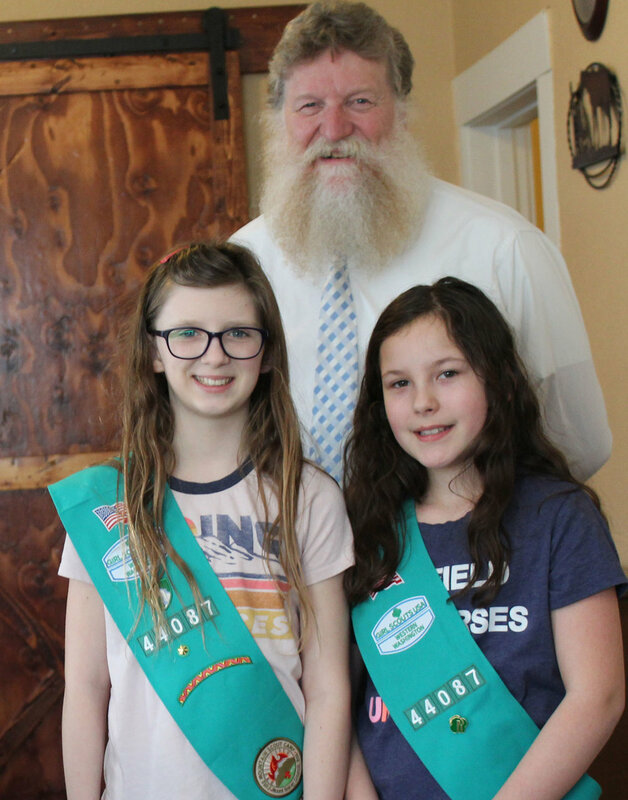 Keira and Payton of Troop 43244 are working to raise money for a trip to Disneyland next year. Ellie and Gabby of Troop 44087 are raising money to provide funds to participate in Summer Camps. Hoping you have a wonderful Holiday and New Year. Contact us if you need help with Traffic Tickets, Criminal Defense, DUI Defense, Personal Injury. • We will email the digital photo to you, to be printed at the location of your choice. We are also accepting donations until December 31st 2017 for Beck’s Place to be shared with those in our local community who are struggling. HO HO HO! It is that time of year when parents and children are looking for a great place to take a picture with Santa..
You are in luck as this year “Santa” will be stopping in at Rick Merrill’s Law Office on Saturday November 18th 2017 from 10 am to noon. Sometimes it is as easy as picking up trash you see, or share a kind word with someone you meet. We make a difference in our community each time we reach out. We are going to be collecting donations for Beck’s Place in Monroe. 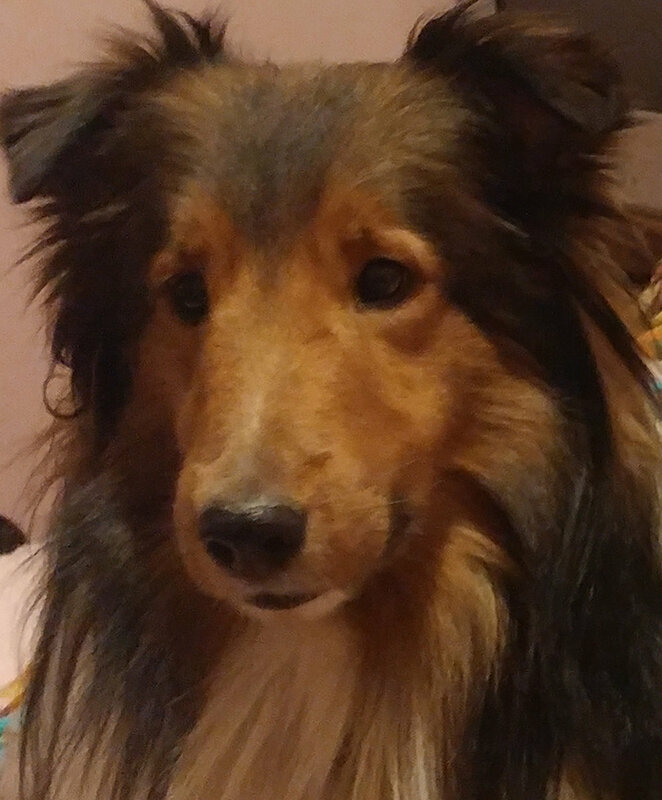 At Beck’s Place they are committed to helping people and pets move forward in life. Plan To Attend Our FREE Shred and Food Drive Event On Saturday, October 7th 2017 from 9 AM - 12 PM. That’s right, there is no cost to bring your documents to The Law Office Of Rick H. Merrill. Documents will be destroyed by Proshed, a professional document destruction service with a mobile shredding unit. While sorting through documents and clearing out the house grab any non-perishable goods you may want to donate to help us support our local food banks. Community members are welcome to join us at The Little Blue House on Colby to destroy documents containing sensitive and personal information on Saturday, October 7th. That’s right, there is no cost to bring your documents to The Law Office Of Rick H. Merrill where office employees will be onsite to help community members carry boxes, shred documents. We are happy to inform you that Rick's son, Attorney Reece Merrill, has come to work for Rick. Reece is a new Attorney. He graduated from Lake Stevens High School, Gonzaga University and Seattle University Law School. Call the office to discuss the details of your case. Fuel Girl Scout learning opportunities, adventures, and dreams. Rick likes to help youth reach for their goals and has been purchasing Girls Scout Cookies, for the past several years. A special thank you to Ellie and Kate for selling Rick 20 boxes of Girls Scout Cookies, and telling us about your goals. It is great to see your excitement for Camp again this year and admirable how hard you have been working for two years to save for a trip to Disneyland with your troop. The sales of Girl Scout cookies provide funds for great learning adventures, and other opportunities for girls. Last year our Girls Scouts were earning money to keep having fun, Girl Scout camp, and a trip to Disneyland. In addition these Girl Scouts are learning a variety of valuable life skills while they are setting up, selling and reporting their sales of these delightful morsels. For the past several years Rick has purchased 30 boxes of Girls Scout Cookies and this year his sweet tooth strikes again. Keep Rick in mind when the Cookie Sales begin. We are looking for 3 Girl Scouts to come into the office and sell us 10 boxes of delicious cookies. We like to share who stopped by the office with cookies to sell to Rick. We would love to post your picture on Rick’s Website. Although those words are such good news for skiers…they are not always the best news for drivers. Don’t worry we have got you covered with some tips to make your trip with less slip sliding away.. If you should wake up to a winter wonderland here are some of the things that you should know. With emergency supplies, warm blanket, water, snacks, some traction sand, a full tank of gas, a charger for your phone, etc. You can find more extensive lists from the Washington State Department of Transportation. Without proper traction we lose control. So a set of tire chains, traction tires, or tire socks if your vehicle has low clearance. Check here for specific details on traction notices from the Department of Transportation. Leave early, so that you do not need to rush. Give your Brakes a break...Slamming on your brakes can cause you to lose what little traction your car has in snow and ice. Instead try to anticipate times when you will need to stop and begin to slow down early, downshift gently, apply the brake with a featherlike approach. Do not pull out in front of oncoming traffic as they may not be able to stop. You will want check to see if there are any Road Closures in place. While they try to keep closures up to date there maybe emergency closures. If for some reason you feel that the road conditions are simply too dangerous, stay safe and sound where you are. From Our Little Blue House to Yours…Merry Christmas and Happy Holidays! During this festive time of year, we enjoy gathering together for dinner with family and friends, the beautiful displays of lights, caroling, attending pageants and parties, and so many other Holiday Traditions. With all we have to do and celebrate it is important to have a plan to get home safely. Do not Drive, If you partake or are overtired from your activities. Plan to stay, arrange for a designated driver, call a friend or a Uber. If you get into trouble with the law, Call Attorney Rick Merrill, he is available 24/7 to answer questions. The mountain forecast says that the snow level will be near sea level on Christmas Eve. This is a good time to remember Safe Driving Tips for the snow, leave a large following distance, have chains or traction tires available, pack some sand for added traction just in case you need to get a grip. Take a Picture of your Christmas Tree to Enter in Rick’s Photo Contest. You could Win $100 for your Original Photo and you can choose a deserving Charity for Rick to donate $100 to. Entries are due December 30th 2016. Please complete your Contest Entry today so you can send us your photo. Attorney Rick Merrill is wishing you and your family a very Happy Thanksgiving. Filled with fun times with family and friends. Baking up wonderful memories. Taking time to reflect on this year and remember things that you are thankful for. We thought you might enjoy some of our special traditions. For many years each member of Rick’s family was required to make a pie...lots of pies, in all kinds of flavors. Kristi described her family meals as lots of casserole dishes, turkey, mashed potatoes, gravy, fruit salad...mmmhmmm...the Fruit Salad. And of course lots of pies. The ongoing Saga at Holly’s family dinner table is Grandpa and the Turkey, he can never get the right amount of cranberry sauce to go with it. We think it just gives him have an excuse to have more. No matter what your Traditions are, We hope that you have a wonderful Thanksgiving. Please see your inbox for the confirmation email. The Great Pumpkin Carving Contest has a Winner! Congratulations to Champion Pumpkin Carver Evy Dudey! Attached is a photo of my Mummy Pumpkin for the contest. I've also attached a second photo to show you what the daylight version of the mummy looks like. Happy Halloween, and thanks for sponsoring the contest!! You could Win $100 for your Original Photo in our contest, and you can choose one of these deserving Charities for Rick to donate $100 to. You are in luck as this year “Santa” will be stopping in at Rick Merrill’s Law Office on Saturday December 10th 2016 from Noon to 2 pm.